The Walking Dead has headed in a new direction with the third episode of the third season, “Walk With Me.” Thus far the show has been centered on the main group led by Rick Grimes (Andrew Lincoln). Strangers have been few and far between, and mostly stayed away from, save for Hershel (Scott Wilson) and his daughters. In this episode, we’re faced with nothing but strangers, as the show shifted focus from Rick to Andrea (Lauria Holden) and the formal introduction of the Governor (David Morrissey) and the town of Woodbury. In fact, Rick and the rest of the group didn’t make an appearance in this episode at all. Frankly I did miss seeing what might have been going on at the prison. I guess we can assume things may have been pretty quiet there, relatively speaking, for a short time. I was kind of hoping for a couple of glimpses, even if the group was getting a short break from the chaos of their first days in the prison. It felt strange to not see the characters that have become so familiar at all. 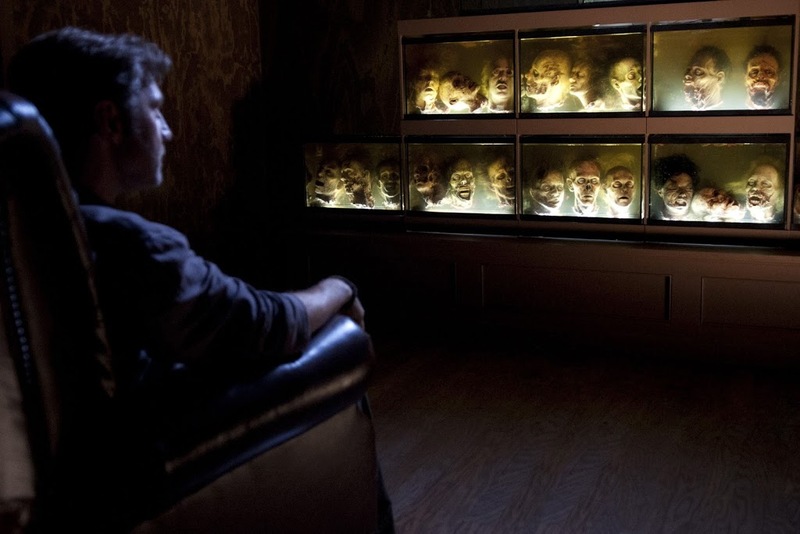 Nonetheless, Woodbury offered some cool (and promising) new twists to the show. The town of Woodbury is a sanctuary of sorts. It’s a small town that has sealed itself from walkers (these townspeople call them “biters”) via tall walls protected by armed guards. Andrea and Michonne (Danai Gurira) find themselves in the town after a chance run-in with the Governor and the long-lost Merle Dixon (Michael Rooker). Michonne is immediately leery of the town and so are we. The past two seasons have told us that most strangers pose some kind of threat. Clearly something is not quite right in the little town. Things seem a little too good to be true. They have water, food, real beds, and even showers. The people who live there actually seem kind of happy. 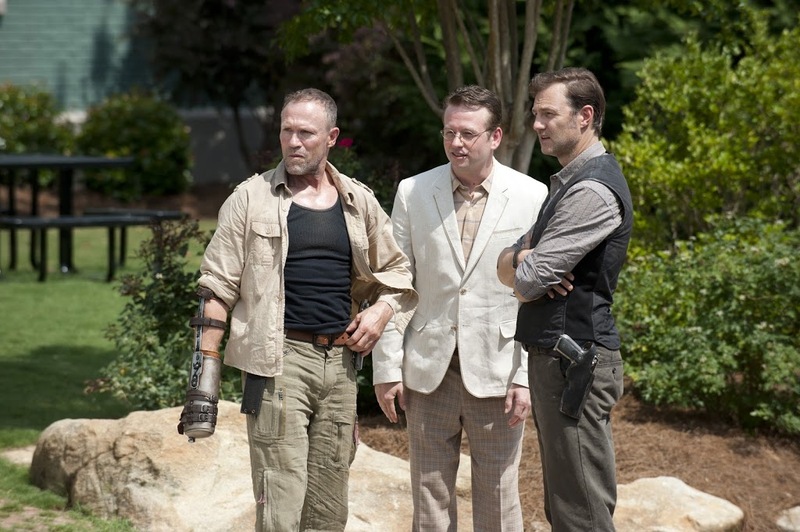 But what is up with a town where everything seems a little too perfect, and yet Merle Dixon fits right in? Those things don’t go together. Merle is a misanthrope who hates any type of authority. So why does he do whatever the Governor says? Michonne spends her time glaring at everyone, refusing to speak, while Andrea seems oblivious to everything not being quite what it seems. As a viewer, we get to see right up front that the Governor is deceitful and murderous, so there is no secret about that. What is not clear is just exactly what the Governor is entirely up to. He keeps a strange little lab at the edge of town and he likes to look at disembodied heads floating in fish tanks before he goes to sleep. I’m not sure how the Governor, Woodbury, and Rick’s group will combine. I’m curious to see how it will all fit together. Will Daryl’s (Norman Reedus) loyalty to the group be tested when he sees his brother? Of course the big questions from the last episode still linger. What will become of Lori (Sarah Wayne Callies) and her baby? Will Hershel survive his injuries? And what about the two surviving prisoners in the other cell block? With “Walk With Me,” we have to wait on even the slightest of hints about these issues. But we now have a whole slew of new elements that will surely expand on everything we thought we knew so far about The Walking Dead. Things will almost certainly become very interesting when these two groups of characters finally encounter each other. The plot thickens for season three, can’t wait for next week!